How can I contribute to this campaign? 4. Other political leaders might also be copied if you wish to ensure that other political parties are aware of your concerns. 3. Emphasise that you consider that “an unequal distribution of health risks over the population would raise concerns of environmental justice and equity”. 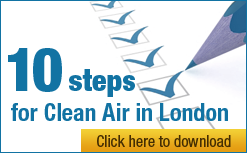 Good luck – the more emails that get sent to these political leaders, the more they are likely to appreciate the depth of concern about air pollution across Central London.